Freestyle Ice Time is used for Figure Skaters to practice as well as have private lesson time with a Coach. Please check in at the desk with your Punch Card 10 hrs. for $130 or Walk on Rate $17 per hour. Whether you are a beginner or an expert, we’ve got you covered! Our skating programs r un year round for all levels of skating. Instruction covers beginner to freestyle level curriculum from the United States Figure Skating Association. Freestyle schedule, Theatre on Ice and other figure skating activities are available! 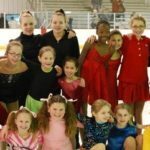 If you are interested in the Pond’s figure skating club, or have any questions, call Elisa Nash at 440-543-3884. Register for Figure Skating Online!